In Part Two of this two-part series, we will continue to look at the results of the HfS Research/KPMG “State of Outsourcing and Operations 2017” study. We will examine how operating models are continuing to drive toward fully global business services, as well as how organizations are dealing with outsourcing and service provider selection as a result. With a couple of months of 2017 under our belts, now is the time to focus our thoughts on ways sourcing and procurement can leverage a number of likely changes expected in 2017, regardless of the industry. Supply & Demand Chain Executive (SDCE) spoke to Adam Cummins, a director for business transformation at outsourcing advisory firm Pace Harmon, about some of his observations for sourcing and procurement in the year ahead. SDCE: What sourcing and procurement developments will advance robotic process automation (RPA) in 2017? Cummins: While RPA gained a foothold automating simple processes throughout 2016, we expect to see enterprises taking steps to leverage RPA for numerous tactical sourcing and procurement transactions in 2017 (making manual processing out for the new year in the process). Purchase order (PO) creation and validation are likely high (if not first) on the list for RPA to begin to be used in the sourcing and procurement space, in particular for organizations that have high-volume, low-dollar value PO requirements. SDCE: Are there new areas that are ripe for RPA enhancement? Cummins: We think enterprises will begin to explore RPA for other tactical sourcing and procurement transactions, such as goods receipt (for certain types of goods) or PO-to-invoice matching tasks. In addition, punch-out catalogs (which have been performing RPA-like tasks for many years) are a prime candidate for enhancement via more intelligent automation (e.g., automating inventory checking, and accelerating order transaction filling and release for certain types of goods). SDCE: What team changes are taking place among sourcing and procurement groups? Cummins: Where sourcing and procurement teams may have previously aligned traditionally to go deep in specific categories (IT, professional services, resins, steel, etc.) or sub-functions (sourcing, contract management, purchasing, etc. 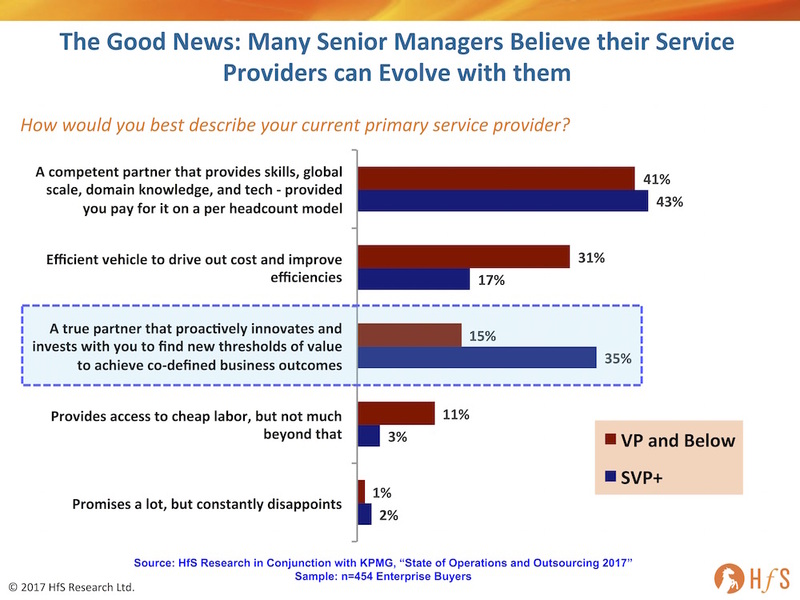 ), look for enterprises to begin to shift away from that model and move to align more closely with their business unit customers. This shift will enable more direct connectivity between the expertise, knowledge and capabilities of the sourcing and procurement functions with the specific and ongoing needs of the respective business unit customers those sourcing and procurement groups support. Direct alignment and partnership can foster a highly collaborative approach to strategic purchasing needs, while also simultaneously driving a deeper and more robust level of knowledge and expertise for both the sourcing and procurement, and business unit staffs. 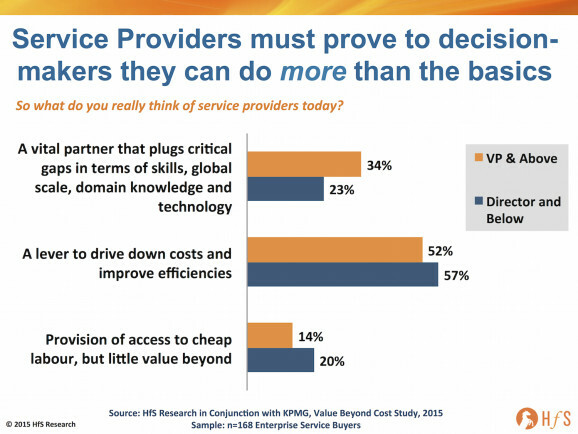 SDCE: How can sourcing and procurement drive more value? Cummins: While securing better negotiated commercial and contractual terms will always be an important area of focus, we expect that more organizations will turn to robust supplier relationship management as a means to drive additional value in 2017. This means moving away from negotiating upfront cost savings via purchase cost reductions toward delivering greater, longer term value by implementing and delivering robust supplier relationship management practices. SDCE: Is goal No. 1 still cost reductions? Cummins: Strictly focusing on cost reductions sends a signal to vendors that they will be constantly squeezed on price and you are OK trading performance for lower quality. More effective supplier relationship management can ensure that specific commercial and contractual obligations committed to by supplier partners are, in fact, delivered and measured on a regular, ongoing basis. Such initial governance is critical to making sure that all supplier partners are actively and positively encouraged to follow through on the promises they made during the initial sourcing and contracting processes that led to their selection. SDCE: What benefits are possible from a more robust supplier relationship management approach? Cummins: Robust supplier relationship management can help enterprises identify and capitalize on additional value that simple governance of supplier partners typically does not deliver. This may include not only additional cost optimization levers that can be pulled, but also potential new revenue generation opportunities that supplier partners may be able to identify via such partnership approaches (such as joint development or joint partnership opportunities between the buying organization and the supplier partner). According to Cummins, adopting these ideas will better position sourcing and procurement organizations to provide cutting-edge market knowledge and increase their value to the organizations they support. As sourcing and procurement leaders review and revisit the plans for their organizations in 2017 and beyond, considering one or more of these insights can help ensure that the sourcing and procurement group can maximize the value that makes up much of its mission. I’ve been blogging about companies desiring to re-examine their assumptions around what work should be done offshore and their desire to do more work onshore and explaining some cost-effective techniques for achieving these objectives. It’s clear that emerging digital models allow companies using digital technologies to re-examine their assumptions of where business process work should be done. Leading companies are re-imagining their call centers and customer experience to integrate digital models into their voice models. Work volumes are shifting from voice call centers into new channels such as chat apps, email, tweets and other social channels. Companies are adopting these new ways of communicating with customers and integrating them into their customer service models. The digital model is disrupting the call center. A recent Everest Group study showed that across a number of call center situations, companies eliminated 40 percent of the FTEs in their call centers – while improving customer service. They achieved this by applying Robotic Process Automation (RPA) technology. Effectively, companies can use RPA to do automated look-ups for information, thus shortening call time. When an agent is equipped with the right information and robots pull information and present it to an agent in an easy-to-understand way, the conversation with the customer takes less time. In addition, by using analytics and RPA, companies can do call suppression by understanding customers’ needs before they call and act to resolve them. This eliminates the need for the customer to call. An emerging set of technologies and chatbots allows a robot or cognitive agent to carry on automated conversations across channels including voice. This potentially can eliminate another 20% of live agents, reducing the number of FTEs in the call center by a total of 60%. Business process outsourcing (BPO) companies need to take advantage of digital technology to boost efficiency. Business rules automation can make a dramatic difference. Perhaps more than others, organisations in the outsourcing space need to take advantage of digital technologies as they look to boost operational efficiencies, increase business agility and improve customer engagement. Automating decision-making in complex mid to back-office processes and functions is a good place for business process outsourcing (BPO) companies to start. Decisions regarding eligibility for a particular service, product or loan; up-sell or cross-sell opportunities; risk assessments and the like are all candidates for such automation—and lead to cost savings and consistency that can be passed down to the client. The principle savings come from automating decisions around processes and functions that change frequently. Applying human logic to a frequently changing set of circumstances, or relying on IT to use traditional coding approaches to implementing new rules, can be slow, inconsistent and expensive—and certainly not agile or efficient. That’s where a business rules management system (BRMS) can prove extremely valuable to BPOs, enabling changing rules to be managed and implemented on the fly by business folks, without intervention from IT. The more complex the process, the greater the need for automation: The truth is you probably won’t need a BRMS to automate simple processes for which where the underpinning rules rarely change. But you’ll see significant benefits if you have complex rules governing complex processes, both of which change frequently under tight control. Processes such as risk and rating, loan eligibility and origination or underwriting and claims processing are good examples. Yet other industries benefit, as well. Take healthcare, for instance—the Affordable Care Act simply couldn’t be delivered effectively without this type of technology helping to determine the eligibility of an individual for specific levels of social welfare and healthcare. BRMS is a differentiator: Nobody outsources a function that’s operating optimally without any scope for improvement—in fact it’s probably the polar opposite. The client’s expectation is that the BPO will improve a sub-optimal business process, do it for less than it costs right now and, probably, improve customer engagement at the same time. 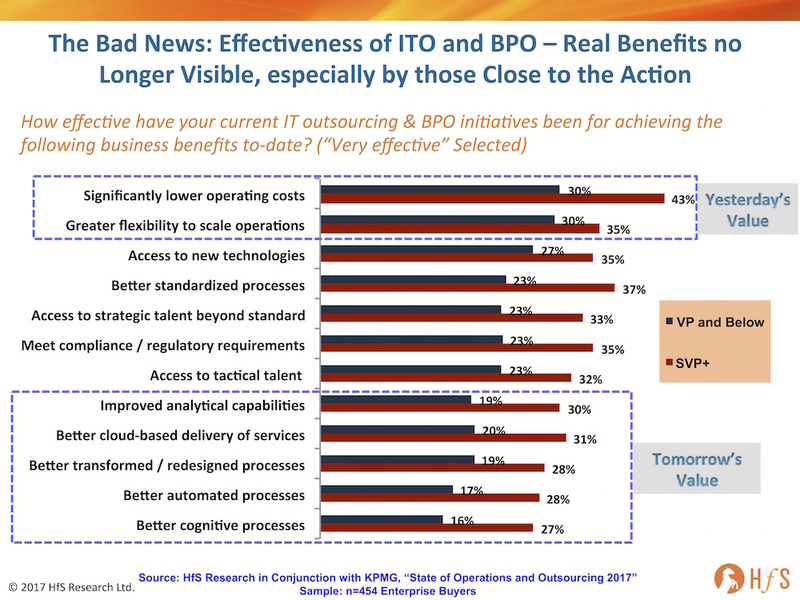 In a worldwide survey of business leaders, 57 percent cited improving efficiencies as a key driver in outsourcing processes.Other top factors included reducing cost and gaining better access to expertise. Achieving these goals requires deploying technology across a range of clients’ processes and functions such that, through economies of scale, cost is reduced while processes improves. That’s what automation solutions help to deliver—setting you apart from other BPOs. Optimizing internal backend systems is equally important: When people think about digital business, they naturally start thinking about their own customers and how they can better engage with them and more effectively manage the customer journey. But be careful not to limit your digital focus to the front end of your business or just your client’s processes. Internal mid- and back-office functions can benefit from BRMS, too. Automating processes isn’t just about not about veneering some digital stuff onto existing, legacy systems; it’s about modernising all systems and processes, and in some cases, reinventing existing ones from end to end. No matter what industries a BPO serves—financial, healthcare, government or the public sector—process efficiency is always a priority. Finding a BRMS that maximizes operational efficiencies, cuts costs and increases agility will lead you down the path to the ultimate goal: service improvement.